Designers are dreamers at heart – give us a request, challenge, or limitation and watch the wheels start turning. From trace paper, to shop drawings, to the finished product – the process is always an evolution of thought and a collaboration among a variety of skilled artisans. 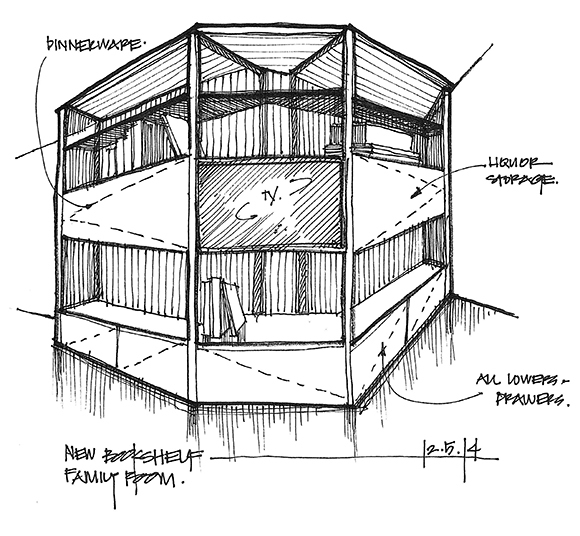 One of our favorite companies to collaborate with is the mill work shop of Herrick & White. With what started as a two-man shop back in the seventies, has blossomed into a robust operation employing over 100 people. The team at Herrick and White is adept at tackling most anything we can think up. 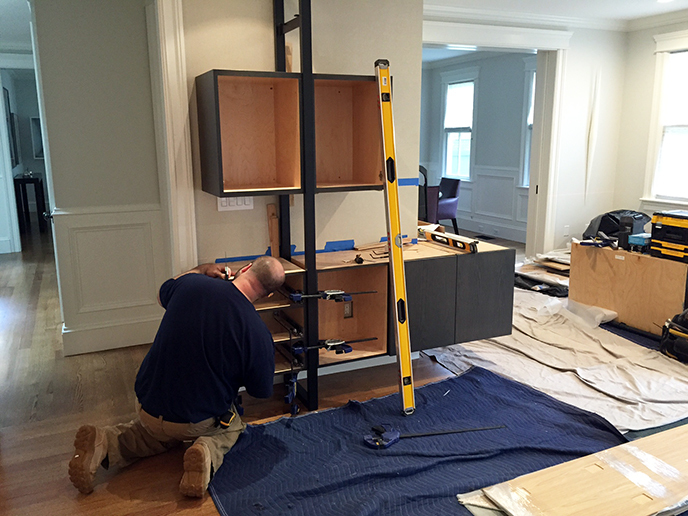 A recent collaboration resulted in a gorgeous cabinetry unit for a home in Cambridge, MA. 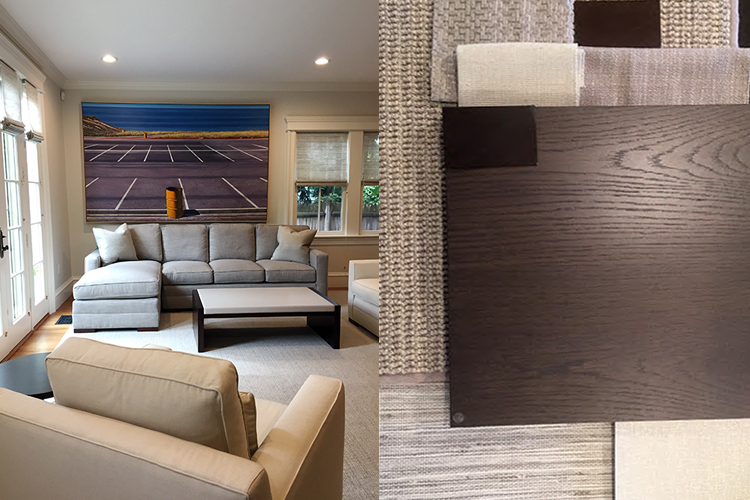 Our longtime clients had made the decision to move and purchased a home that would beautifully showcase their exquisite art collection. While the home had open expanses of wall for their art, there was a definite lack of storage. We knew from the start this shelving unit would need to be a work of art unto itself, while also serving a variety of functions. 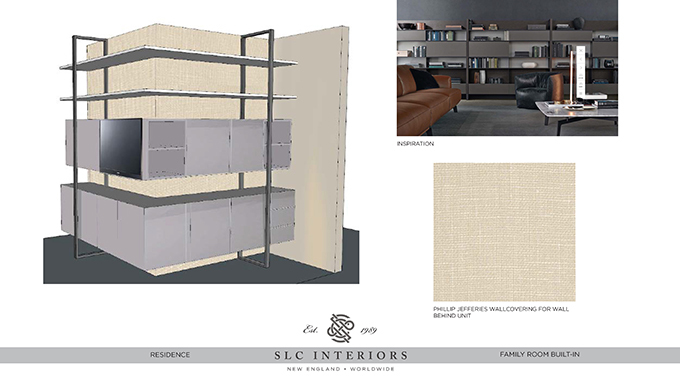 The initial concept included a media component, but as the materials and structure began to evolve, the clients decided to eliminate the TV and focus more on functionality and strategic display space. 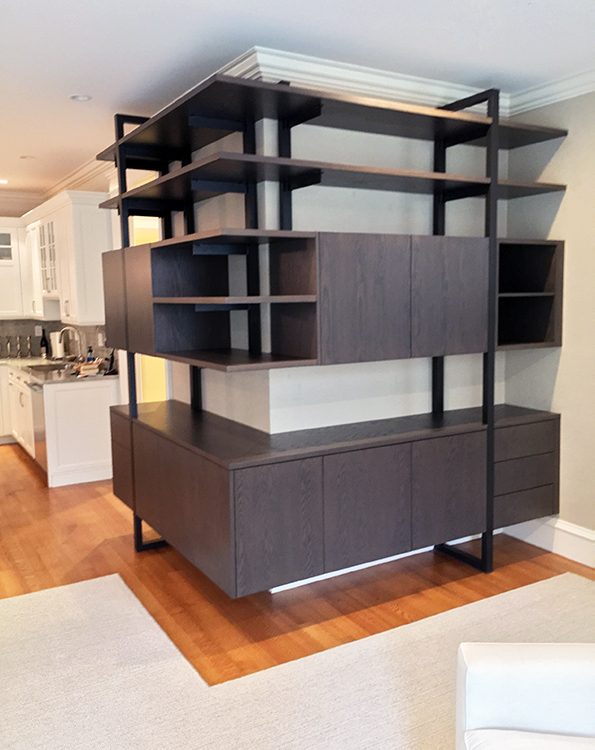 With custom metal supports and beautifully stained wood, the structure not only created a statement, but also provided some much needed storage. The process involved working closely with the clients and the team at Herrick and White to create a beautiful end product. The palette for this space incorporated a beautiful wall covering from Phillip Jeffries, woven shades from Conrad, and furnishings from Kravet & Bright Chair Company. 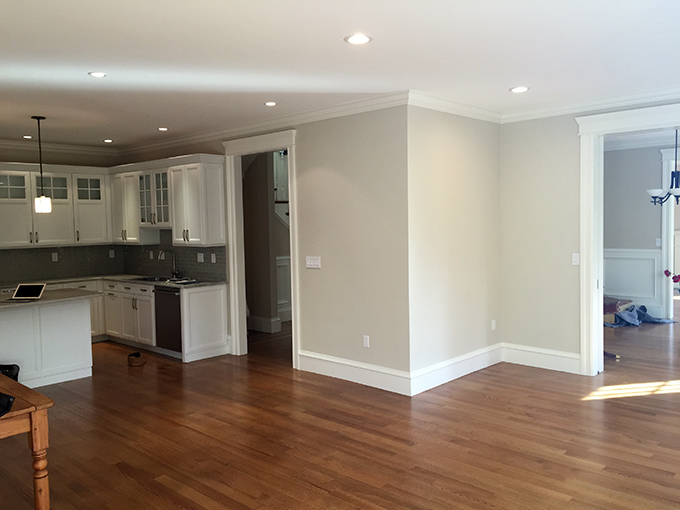 Everything came together wonderfully and the clients were thrilled with the final results!